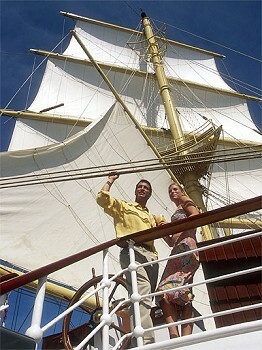 Air inclusive prices begin at $2,260 per passenger, double occupancy plus $235 per person port charge. The Grenadines have many small uninhabited islands with beautiful unspoiled beaches. Your Captain will choose one where the ship will anchor offshore, and you will be tendered ashore. Fort de France is the capital of France's Caribbean overseas territory of Martinique. It is also one of the major cities in the Caribbean with it's busy commercial center and historic fort mentioned above. Fort de France has a lot of history dating back to 1638 when the first fort was build. It was subsequently battered with military mite then rebuilt in 1669. A series of volcanic eruptions destroyed part of the area only to be rebuild to what you see today. 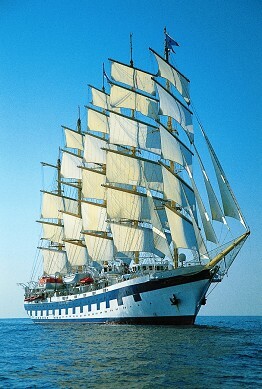 Most sailing vessels pass by since there is not much to see other than what you see from your ship.